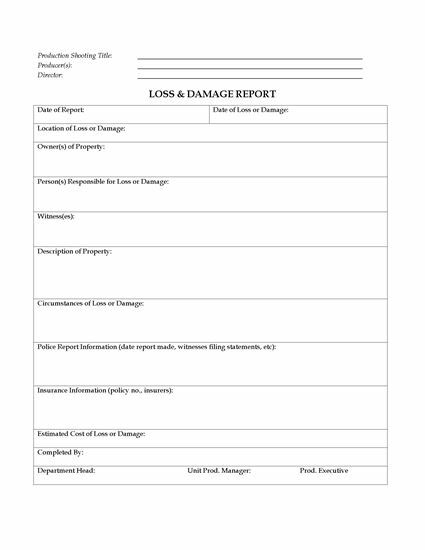 If any items or equipment on a film shoot are lost or damaged, this Loss and Damage Report form should be filled out and submitted to your department head. Crew members can use the Loss and Damage Report to file a report of theft, loss or damage to sets, props, costumes, tools, set dressing, greens or equipment during the film shoot. The form will then be used as backup documentation for an insurance claim. The report lists the person(s) responsible (if known) and any witnesses to the incident. The department head is responsible for submitting the report to the production manager. 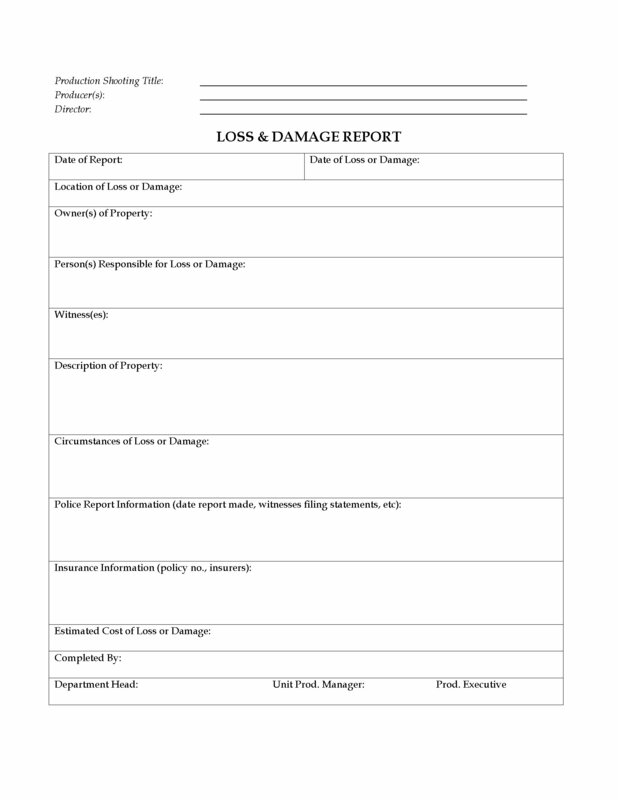 The Film Production Loss and Damage Report form is an essential part of the insurance claim documentation. Download this free sample and give copies to all departments.